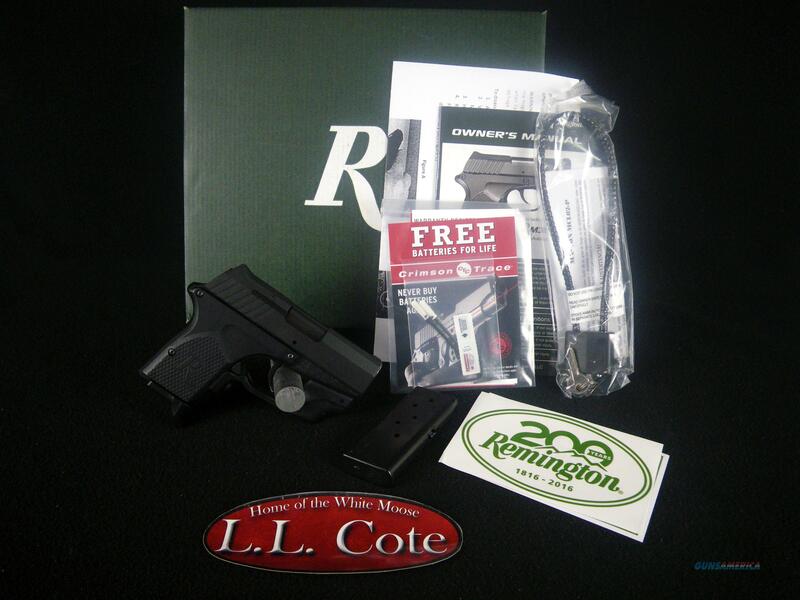 Description: You are bidding on a Remington RM380 Micro Crimson Trace in 380ACP with a 2.9" barrel. It's the ultimate micro pistol, perfected for maximum concealment and shootability. The RM380 enhancements include a grip angle optimized for improved comfort and natural pointability; reliable, all-metal construction; and a crisp, smooth DAO trigger for added safety and enhanced accuracy. All key areas have been rounded and smoothed to improve concealment and enable a quick, clean draw when you need it most. Displayed images are stock photos. Any questions please feel free to ask (our phone number is in the additional information tab above).